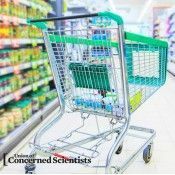 The rise in accessible data on such environmental issues as deforestation and water stress make it increasingly more difficult for corporate decision-makers to claim ignorance on the matters. But Sissel Waage of BSR says this new era of transparency offers opportunities for companies to collaborate with those implementing conservation-based activities on the ground to deliver real supply chain change. Originally posted on Green Biz. 25 May 2016 | “I don’t know” is becoming less plausible for corporate representatives to say when it comes to understanding various supply chain impacts and risks, from deforestation to water, biodiversity and related human rights issues. The era of tracking and transparency has met the era of (near) real-time Big Data, within a context of corporate supply chains and over-burdened natural systems. In addition, tools exist to gain further insight on supply chain sourcing locations, such asProvenance. If corporate decision-makers are in the dark about where their raw materials come from, as well as what impacts (including unintended) occur through this sourcing, then various organizations are likely to publicly name the business — specifically those that have made corporate commitments — such as the CDP’s Forests Program, Forest Trends’ “Supply Change” initiative, Global Witness, Greenpeace or Rainforest Action Network. A new era of increasing clarity about (and accountability for) corporate supply chain impacts is upon us — particularly for issues tracked through online, Big Data-driven maps, such as deforestation, water risk and biodiversity loss. As such, questions increasingly will be asked of supply chain managers and corporate leaders about contributions to re- or de-forestation; watershed structure and function, as well as a growing set of other environmental and related human rights and local community issues. Are corporate decisions and supply chains investing in business solutions that offer “benefit multipliers” for companies, communities and natural systems? Or are decisions undercutting the very systems upon which we all rely and introducing“ecosystem malfunction risk” into corporate risk management and mitigation portfolios? Few within businesses will be enthusiastic about being on the receiving end of questions about why companies are not aware of (and failing to actively address) adverse impacts across operations and supply chains. Fewer still are prepared for a bigger shift underway, which is what stakeholder and investor questions are pivoting away from: What are the impacts of corporate sourcing decisions? The new focus increasingly will be: What is being done about these (ongoing) adverse impacts? Seeing deforestation is one thing. Stopping it is quite another. The same is true for seeing versus addressing water risk, biodiversity loss and other complex dynamics that are undercutting natural systems. The reality — as anyone within a corporate supply chain or sustainability department knows all too well — is that on-the-ground management work is hard. Deforestation is occurring due to a range of complex dynamics, economic drivers (including poverty and desperation) and incentives (and disincentives) in real places. It has not been effectively addressed because it has numerous drivers and is a multifaceted and challenging problem, as has been documented in numerous studies and briefly summarized by the Reducing Deforestation and Land Degradation Desk, as well as the Union of Concerned Scientists. An auditor in a suit waving a piece of paper with a corporate commitment seldom will be an adequate response to removing these adverse environmental (and human) impacts in many parts of the world. And so, a gap often exists between corporate commitments and living up to them. Videos of the Goldman Foundation’s annual prize winners show not only the commitment, but the personal strength of character to stand up to what are often vested interests, or people in challenging financial situations who seek to make a living. As corporate work proceeds on aligning supply chain management with brand, purpose and net-positive contributions, this challenging gap — between stating a commitment and making it real on the ground — will be front and center. This chasm is well-known in both the environmental as well as the human rights law domain. It is the de jure versus de facto law gap. It is when a government promulgates laws, or codes, and people on the ground do not to follow to these laws for their own reasons — sometimes related to corruption; other times related to individual subsistence challenges as the poor and disenfranchised seek out a way to feed their families. Companies that are making laudable, and increasingly called for, commitments around deforestation, water use and decreasing other environmental impacts increasingly will find themselves in the tight spot between new commitment versus old practice. Fortunately, the skunk works for identifying pathways forward has been operating for decades, on pilot scales and the proverbial shoestring budgets. These on-the-ground innovation labs have focused on ecological restoration and sustainable resource management, within specific communities, places and watersheds. Pilot testing of new business models, restoration-focused natural resource management methods and other innovative practices focused on well-functioning natural systems has taken place under the less-than-relevant sounding banner of “community-based natural resource management,” “conservation-based development” and ecological restoration. Within these areas of work, commonly dominated by NGOs and academics, there have been cries of pilot project success and failure (sometimes on the same project and same dataset). Yet, it is worth cutting through the noise to assess the cases, which are relevant to companies seeking to make good on commitments, as well as lessen risks and realize positive opportunities for investing in the natural systems upon which we all (including companies) rely. Some community conservation-based projects at their best show how to engage locals who previously drove species loss, for example, with programs that incentivize their protection, such as in Namibia and Zimbabwe, as well as apply restoration-focuses practices and businesses on the ground, such as initiatives: in Oregon (with the NGO Wallowa Resources); in California (with the Hayfork Watershed Research and Training Center); as well as through the Pacific Northwest (as catalyzed by Sustainable Northwest and EcoTrust) and others globally. Just as every supplier is unique, so, too, are the on-the-ground dynamics that drive ongoing deforestation, fast run-off of rains and inadequate recharge of underground aquifers, as well as other components that undercut robust ecological functioning. High level guidelines exist, but on-the-ground specifics need to be tailored. As corporate leaders fully face the adverse environmental impacts of supply chains, notably ongoing deforestation in supply areas, as well as overshoot of total water demand relative to water supply (both surface and groundwater), they will need inspiration, guidance and experience in responding on-the-ground. Seeking out this guidance, as well as hard-won lessons, can occur through seemingly unlikely corporate advisors: the people who have been working away on community-based conservation, conservation-based development and even the ecological restoration community. Combining the on-the-ground process and practice insights, with robust supply chain management processes and protocols is likely to offer examples, as well as inspiration, for companies to innovate and move toward more stable supply chains, robust stakeholder relations and well-functioning (natural as well as social) systems in which to work. The opportunity is to have supply chain management discussions with those who have been on-the-ground developing the skunkworks solutions, within the community-based conservation, conservation-based development, and ecological restoration communities. And ultimately, to close the gap between positive corporate supply chain and sourcing commitment versus practice. Sissel Waage is the Director of Biodiversity and Ecosystem Services at BSR.